As Wauwatosa’s leading family health chiropractor, Dr. Sarah Smasal and her team welcome you and your family to enjoy a first-class healing experience in a warm and friendly environment. Whether you’re looking to heal or feel even better, the team at Smasal Family Chiropractic provides outstanding care so you can achieve your health goals. Our cutting-edge technology, combined with our unparalleled commitment and compassion, targets the cause of your concerns. 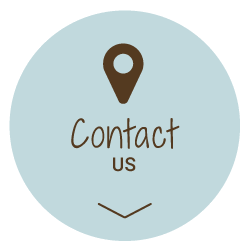 We promise to provide you with our best chiropractic care in a relaxing, comfortable atmosphere with a team dedicated to exceeding even your biggest expectations. Dr. Smasal uses the latest technology to provide you with modern, cutting-edge health care. These unique evaluation tools provide Dr. Smasal the key pieces to help you get to the real cause of your problem. We use Myovision Surface EMG and Activator neuromuscular testing to objectively evaluate patterns of spinal and nervous system function. Dr. Smasal will study the results to guarantee that you’ll understand where you are in your health today, so that you can decide where you want to be tomorrow. After your examination, a customized care plan will be provided to you. Our commitment is to you and understanding your concerns, fears, goals and showing you what is possible. Dr. Smasal will take all of these factors into account when developing your care plan so that it aligns with your needs and goals. We are committed to you and your health for as long as you want us to be a part of it. We are constantly improving to give you the best care and customer service. Contact our office today to start! Appreciated all the explanation of procedures and equipment. Glad I came! Dr. Sarah is very personable and present with her patients. Dr. Smasal is extremely professional and listens to every detail of my concerns. She gives an explanation for everything she does and gives why behind the why. She has a great welcoming personality that makes you want to come back! After a few visits I am a devoted patient, keep up the great work! Great referral from Melanie at Tosa Yoga! Looking forward to getting better with Dr Smasal! I feel much better, than when I started. Feeling grateful. Thank you so much. Cheers to a better quality of life. Thanks so much Sarah. I was a little reluctant for my first ever chiropractic appointment, but you and your staff were incredible and very professional, caring, and reassuring! Thanks again!! It was a wonderful experience. 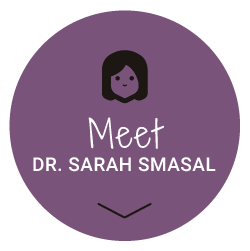 Having moved here recently, I am very happy that I was referred to Dr. Smasal. My appointment was very informative and made me optimistic about my future results. Very quick relief! I am so thankful!!! Felt very comfortable, confident practitioner, professional office. a friendly and explaining manner as the process is administered. I love Smasal Chiropractic!!! I’m always greeted when I come through the door, and so well adjusted when I leave. I only trust Smasal Chiropractic with my back issues. Thank you for always taking care of me. Dr. Smasal is the very first chiropractor that has made me better instead of worse. I am very grateful for this!! I highly recommend her.